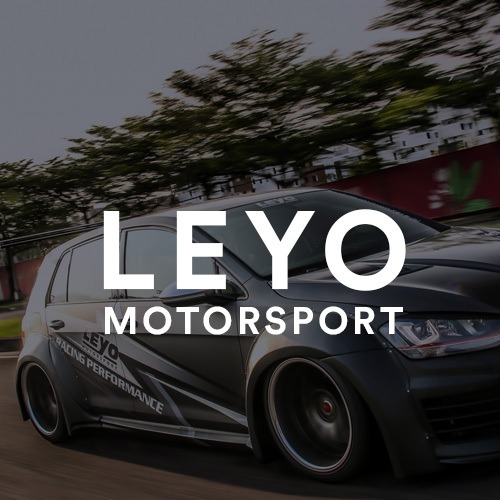 In this tutorial we will take you through the steps required to remove the front seats on a Honda Integra DC5. 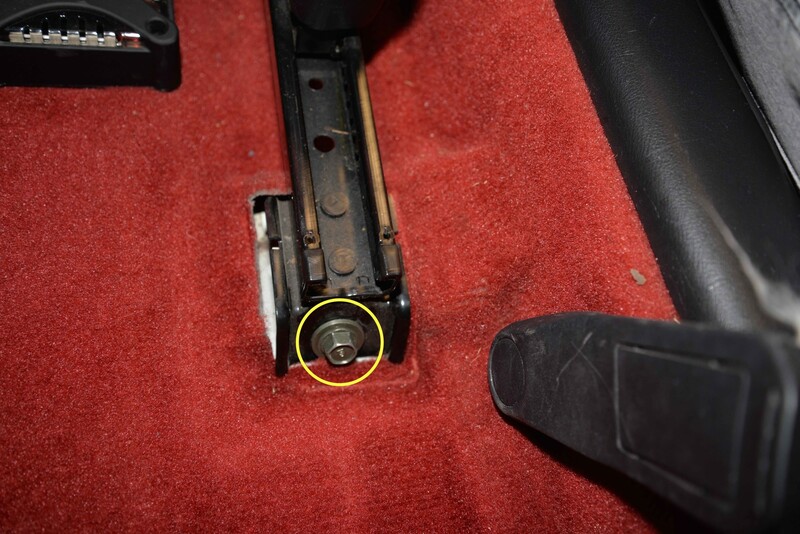 Locate the two 14mm bolts at the front of the seat, there is one either side located on the seat rail. 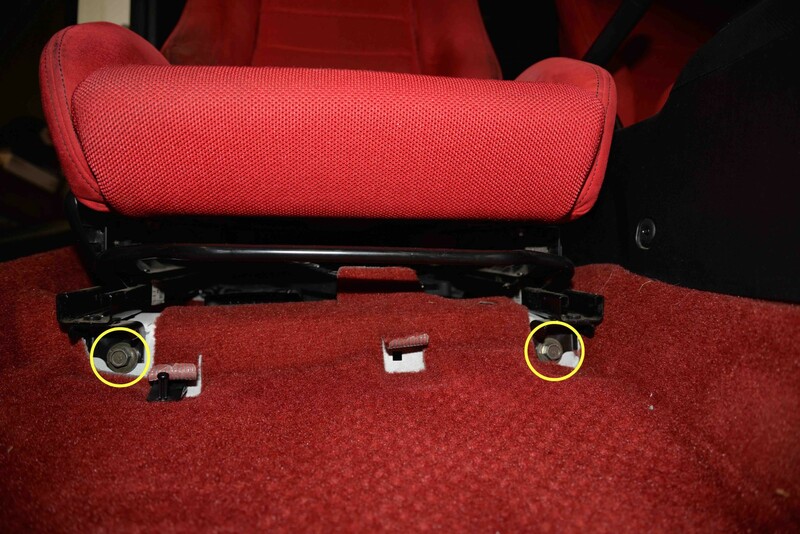 Locate the black plastic seat rail bolt covers on the backside of the seat. Pry the plastic covers off either with your hands, or the use of a flathead screwdriver (Preferably use your hands as the screwdriver may scratch or even crack the plastic covers if done incorrectly). 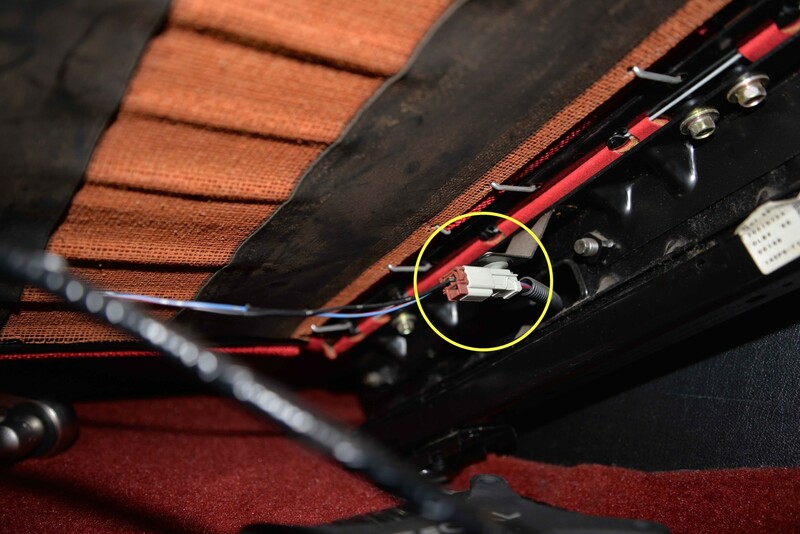 The seatbelt light wire is still connected underneath the seat and needs to be disconnected before removing the seat from the vehicle. 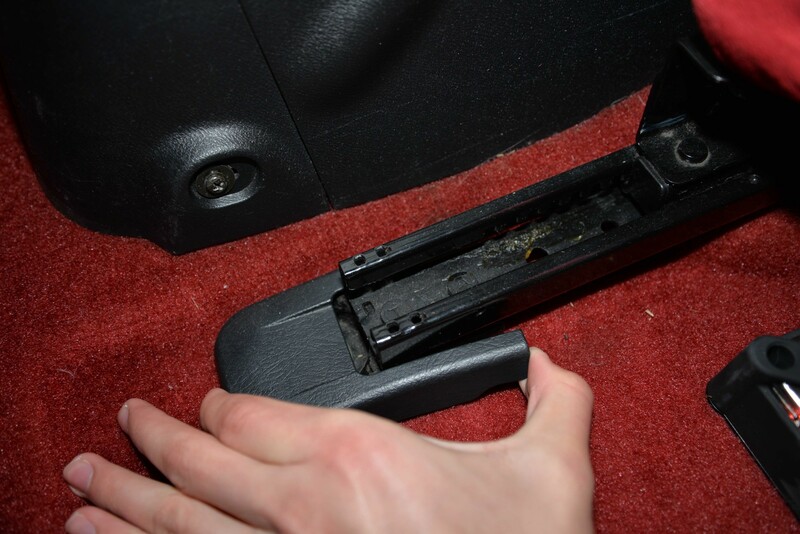 To do this simply lean the chair back to expose the the underside of the seat. There is a clip holding the wire to the underside off the chair, you will need to squeeze both of the tabs in to allow it to be slid out.